Personalization is a secret ingredient of a successful email marketing. It makes your emails more tasteful and suitable to the palate of your customers. In culinary, a wrong ingredient can spoil the overall experience of the food. The same thing can happen to your email campaigns. Wrong personalization can put your efforts to waste. We, email marketers, have been exposed to several personalization tactics since the Internet has everything written about it. It's also safe to say that we can be obsessed with personalization due to the wins it can promise us. In fact, personalized promotional mailings have 29% higher unique open rates and 41% higher unique click rates compared to non-personalized mailings. But some of us may have the best intention but wrong execution when it comes to personalizing emails. This could badly hurt not just your email campaigns but your business. So, it's necessary to choose your personalization tactic wisely and void committing mistakes. Don't fall prey to these personalization tactics to avoid putting your efforts to waste. It's been said many times that calling recipients with their first name is a good practice, but that's not always the case. Contact information can get mixed up, and you're not sure if your subscribers filled up the form correctly. You might end up addressing recipients the wrong way, have an empty space, or worse, show [First Name] instead of their real name. This is embarrassing, and it could turn off your subscribers. It's not new for businesses to build a community, and often they call their customers with a name related to their brand. For instance, clothing brands may use 'fashionista' while a coffee brand could call their customers as “coffee lover. Just because it's Mother's Day does not mean you have to greet everyone a happy Mother’s Day. Unless you're 100% sure that all your customers are moms, you better think twice before blasting your email greetings. Greeting customers for an occasion they do not celebrate shows that you do not pay attention to know them deeper, and this is the last thing you want them to feel. So, get your data right. You have all the tools and resources to validate your customer information. Through email surveys, you can directly ask them about their civil status and other important information such as birthdays, anniversaries, and location. You can use social media, purchase history, and online activity to integrate and cross-reference information to guarantee the validity of your data. If case damage has been done and a wrong email has been sent, a simple apology can show that you recognize your mistake. You have the choice to attach a discount to express your sincerity as a business. Mistakes may be inevitable, but correcting it is non-negotiable. Location matters, and it's a basic customer data you can use to send customized emails. But when your location is inaccurate and not used well, it can be a disaster. You wouldn't send a promotional email for a sale in New York to customers based in Los Angeles, right? Fix it! Be sure that you have the right location data of your contacts to avoid sending irrelevant emails. If you're not able to capture this through your sign-up form, use their IP address to identify where they are located. From here, segment your list so that you can send location-based emails to the right recipients. 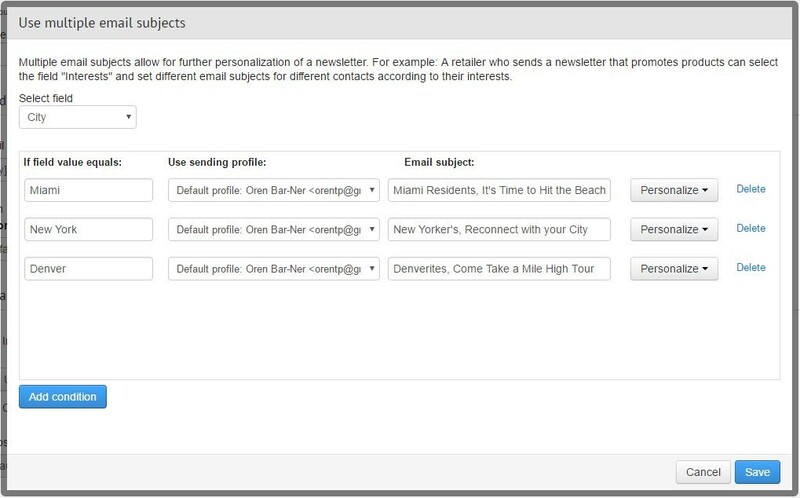 You can also explore dynamic content and other personalization tactics in your email marketing automation software to up your personalization game. For instance, you can create an email campaign with multiple subject lines and dynamic content that will automatically update based on your criteria, which in this case, location. 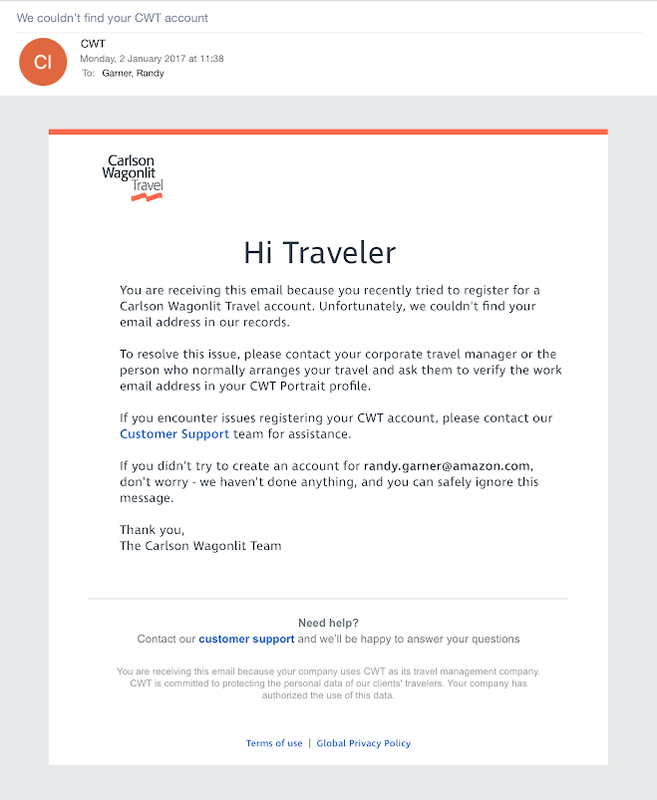 In the sample below, the email campaign uses multiple subject lines to target recipients residing in different states. With this, only one email campaign was created to target recipients from various locations. While mistakes are inevitable, you can't make it a hobby when your ROI is at stake. As a professional email marketer, you must learn how to leverage your customer data to personalise your email campaigns the right way. It also helps when you have mastered the different personalisation features of your email marketing automation software. With all these combined, you can produce and send a well-personalised email that meets the taste of your customers.